Download this new pattern at Liberty Jane Patterns. This pattern was inspired by playsuits that were worn in the 1940s by young girls. 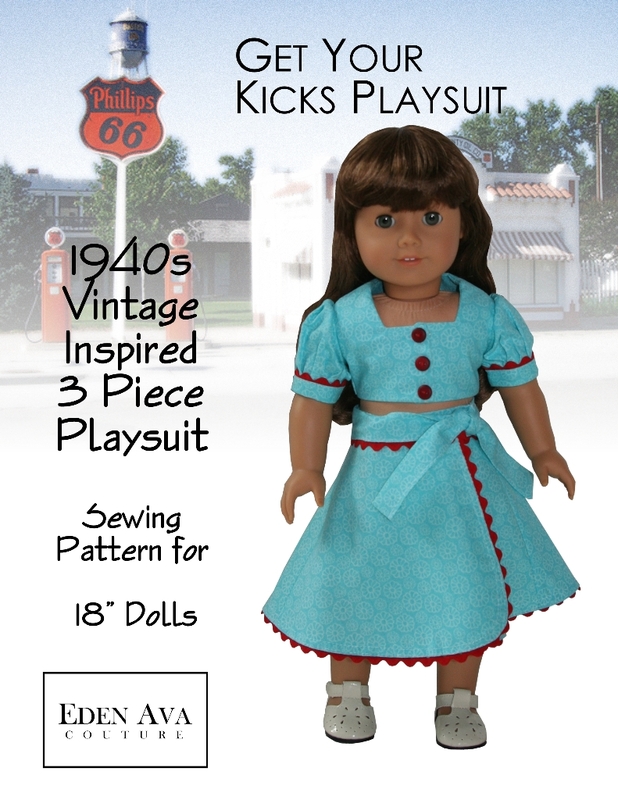 These playsuits often consisted of a midriff top and a removable wrap skirt, and a pair of shorts. What a fun outfit for Kit or Molly! ← Hawaiian Sundress Sewing Pattern Now Available!